Contents include 42 Single-Colored Miniatures! Contents include 42 Pre-Painted Miniatures! 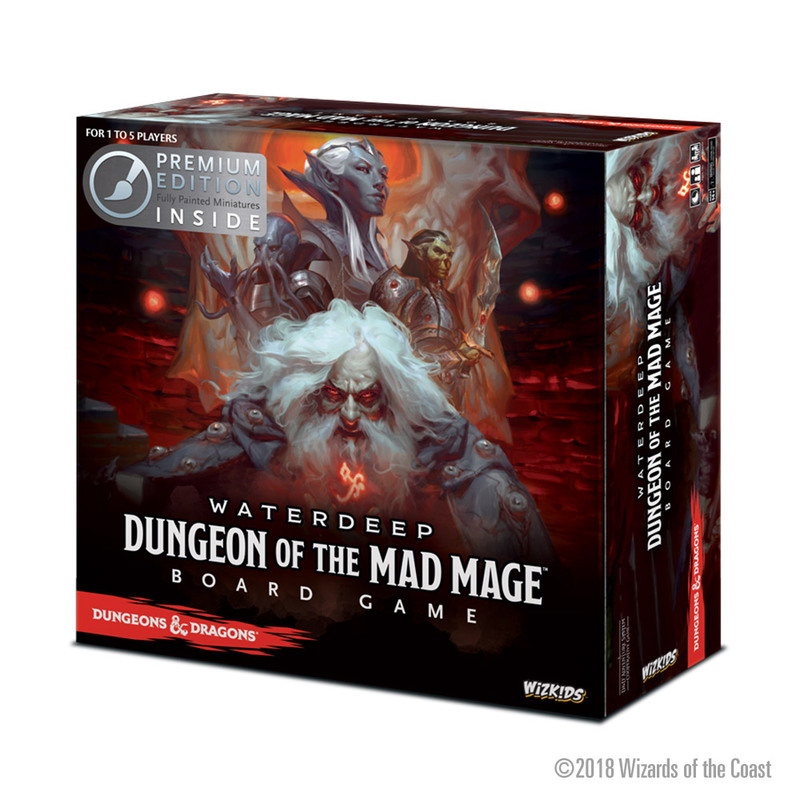 As an adventurer in Dungeons & Dragons: Waterdeep: Dungeon of the Mad Mage board game, explore Undermountain in search for treasure while navigating numerous traps and ominous monsters. Players can now get to level 4 with their characters and gain even more powers! Environment cards that get replaced when a new Environment card is drawn. Bane/Boon cards – some effects will cause a draw of these cards, telling you to resolve their bane or boon effect. Armed with two Gatling guns, the Aleksey (Tsh) is a staple of SSU forces around the planet. This tropicalized variant is used by the dreaded Spetsnaz, who enjoy the firepower and versatility of this walker. The Nadya (Tsh) is deadly at close range thanks to its powerful flamethrowers. Mercenary walkers are made of whatever the Sisters can get their hands on. But thanks to the top mechanics in their ranks, they make some of the most awesome war machines on the planet! The Wrecker is a dedicated anti-aircraft walker made from SSU and Axis parts, with a Mercenary twist. The Demolisher has identical weapons, plus a little extra, and is the personal mount of ace Mercenary pilot Luisa. The Obliterator also combines SSU and Axis weapons, but this time to blow up tanks! Or anything on the ground that foolishly gets too close. The Neue Deutsches Afrikakorps (NDAK) is probably the most seasoned fighting force in desert terrain on the planet. Thanks to a superb command structure, it can achieve the impossible on a regular basis. Currently fighting all over Africa, the NDAK plans to conquer the whole continent for the glory of the Axis. Please note that Panzermeister comes with three different head sets. The Desert Scorpions of the Long Range Desert Group (LRDG) are a formidable elite unit of the Allied Army, made from soldiers from every country of this grand Nation. Their hit and run tactics, supported by great vehicles and weapons, make them the deadliest opponents anyone can face, especially in the depths of the desert.